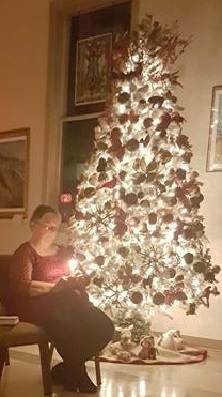 While Unitarian Universalism is not a liturgical religion our congregation celebrates and observes several holidays and traditions. Ingathering/ Water Communion. Typically held late in August this service welcomes members and friends who have been away during the summer months. The Water Communion is a ritual in which we bring a small amount of water (either actual water from those regions or representative water) from journeys near and far and pour them into a communal vase. The waters both past and present symbolize our journeys in this life, and remind us that we travel together in covenanted relationship. A portion of the water gathered is saved to be included in the following year’s service and the remaining water is used to water the church garden. Holiday Pageant. This is a multi-generational service and may highlight any one of the many religious holidays that occur in December. 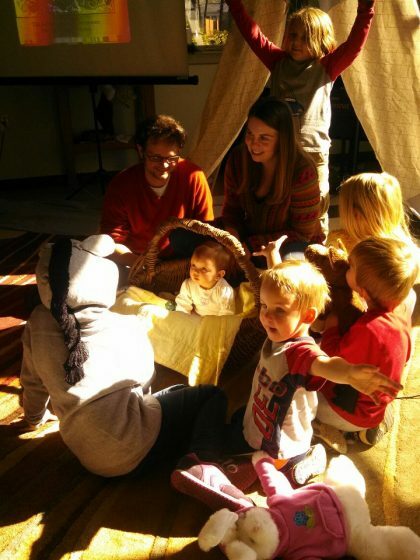 Led by our Children’s Religious Education program, in recent years we have retold the story of Rudolph the Rednose Reindeer (2017) and a story created by our Minister, Rev. Ruth Vann Lillian, “How the Grinch Stole a Christmas Carol” or “Scrooge VS the Grinch” (2018). This service typically occurs on the Sunday before Christmas. Christmas Eve Service. This candle light service lifts up the Christian message of hope and love in the birth of Jesus. It is held in the evening and is filled with singing carols. An offering is collected to support the MInister’s Discretionary Fund, which supports members and community concerns. Flower Communion. This service was first created by Norbert Fabián Čapek, Unitarian martyr from Czechia during World War II, and celebrates human diversity. We hold this service on Easter when spring flowers are most prominent. Each person is asked to bring flowers from their gardens or elsewhere, which are then shared with one another, honoring each person’s unique contribution to creating the bouquet of life. Having the service on Easter adds the symbolism of new life and resurrection. 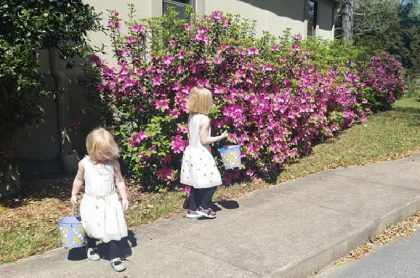 On this Sunday, we also have an Easter Egg hunt for our children. Bridging Ceremony. In May we honor those youth who are transitioning into adulthood. The new young adults symbolically cross the bridge leaving the youth on one side and joining their ranks with young adults on the other side of the bridge. Other worship services may become a part of the annual tradition at UUCT. We are a faith in which revelation is not sealed and our worship reflects this ongoing evolution.